Apparently this is one of the best restaurants in the whole of Asia. 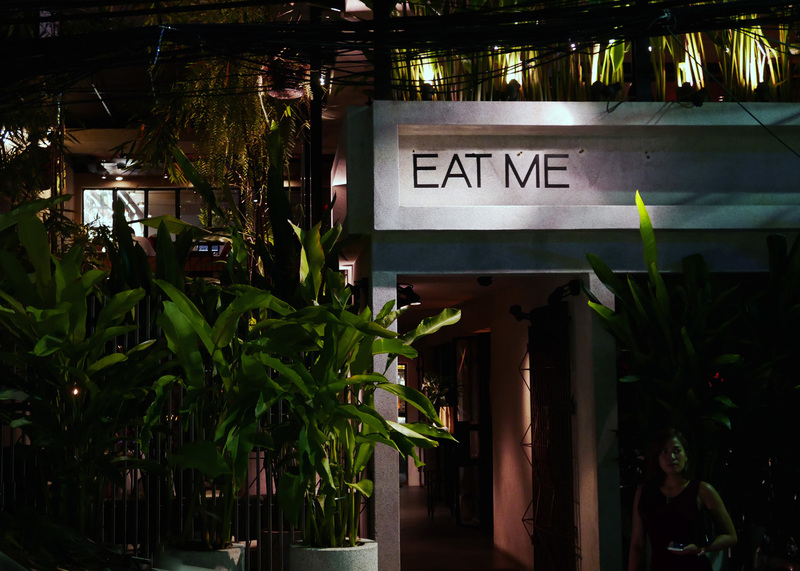 Infact I`ll go as far to say that in last weeks food awards , “Eat Me in Bangkok ” ( No sniggering at the back please ) was awarded 23rd on the list of `Asia`s Best Restaurants 2016 `. Of all the hundreds of thousands of restaurants in China , Thailand , Japan , India , Korea , Singapore , Cambodia , Philippines etc etc…The food below was given 23rd best place….Beggars belief why. Anyway, I`ve already said too much for this blog post. The restaurant has a few different levels but on the whole it was pretty dark. My camera wouldn`t perform too well hence the poor photos. 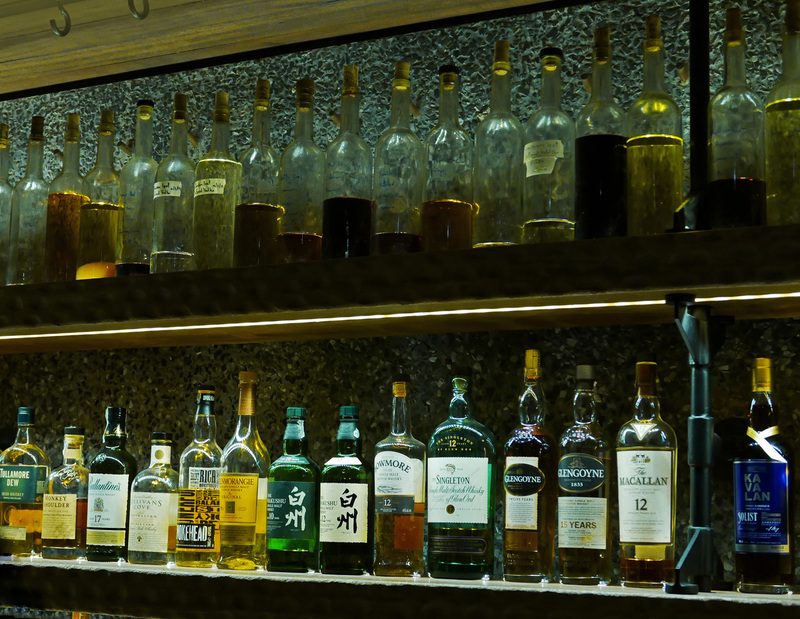 it wasn`t very busy during my visit for dinner but the place had a nice atmosphere for drinks at the bar. 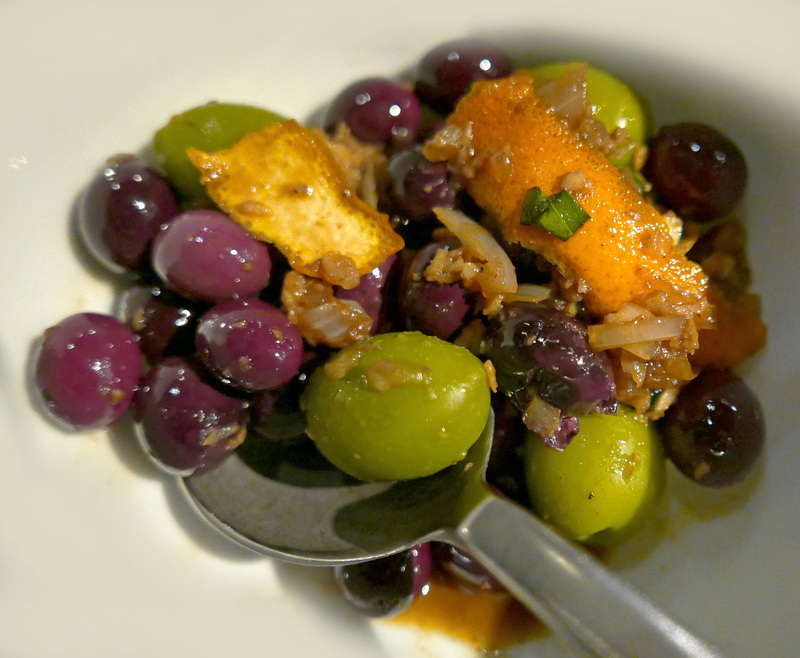 So to start the meal off we had a selection of house Olives with Orange zest and Rosemary and as far as a bowl of Olives go….pretty tasty. 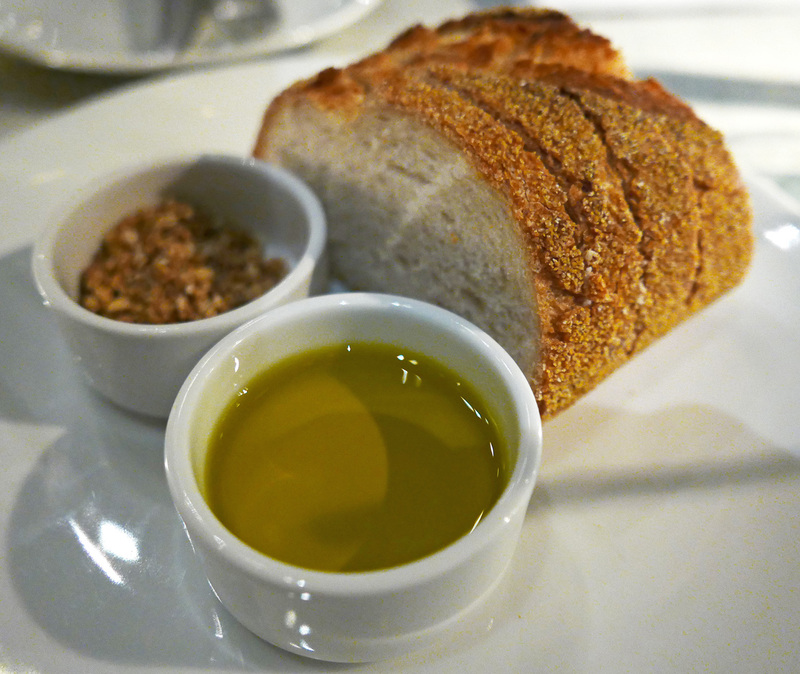 Bread and a couple of dips….One of the best courses of the evening. The menu was pretty large with lots of choices. 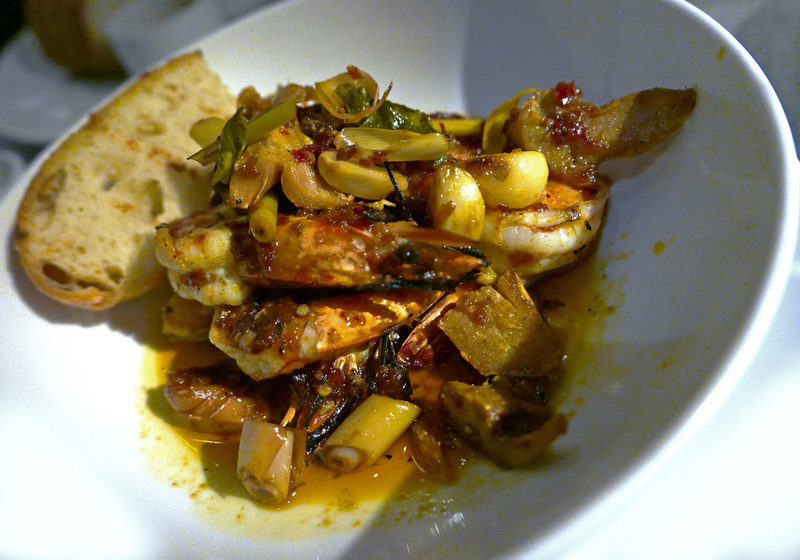 We were recommended this one as an appetiser – Grilled Tiger Prawns with Tom Yam infused Olive oil. It was pretty messy to eat and remove the shells but it tasted pretty good….Until the overpowering flavour of several `raw` full cloves of Garlic hit home. Another appetiser and a favourite of the house. I was recommended this salad as one of their best sellers. It`s a pretty simple salad and one that my 3 year old grand daughter could knock together in 5 minutes also. 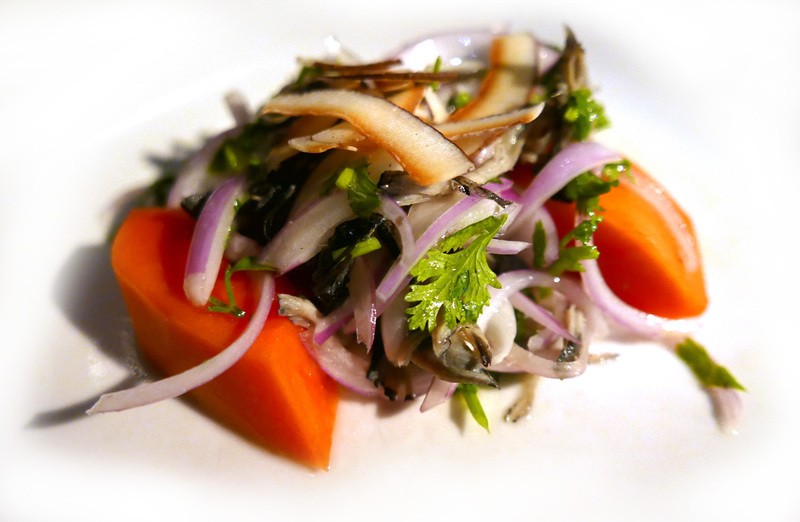 Papaya , Parsley , Red onion , Toasted Coconut and Chicken…..so inventive for Thailand. Time for the main courses. 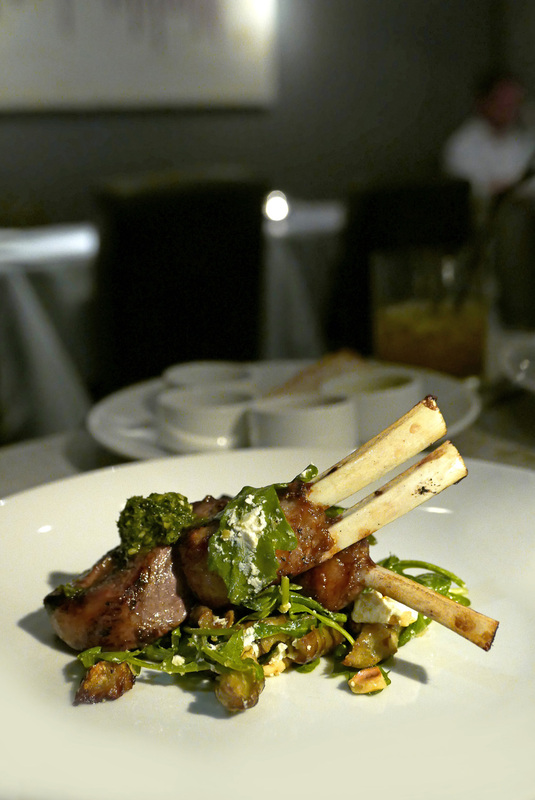 I chose the Australian salt bush Lamb rack with Sunchokes , Goats cheese and Hazelnuts. It tasted fine but where`s the rest of my food ? Ahhh ….all the sides were extras. Not explained to us when we ordered. 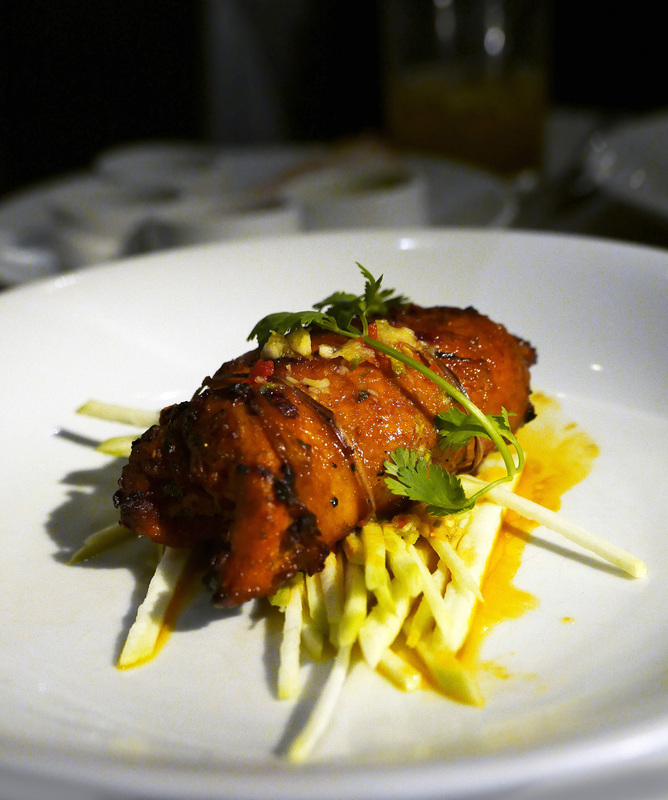 Spicy Lemongrass chicken with Green Mango salad. Once again , pretty tasty food but as a main course…..that’s it. Lazy dessert time. 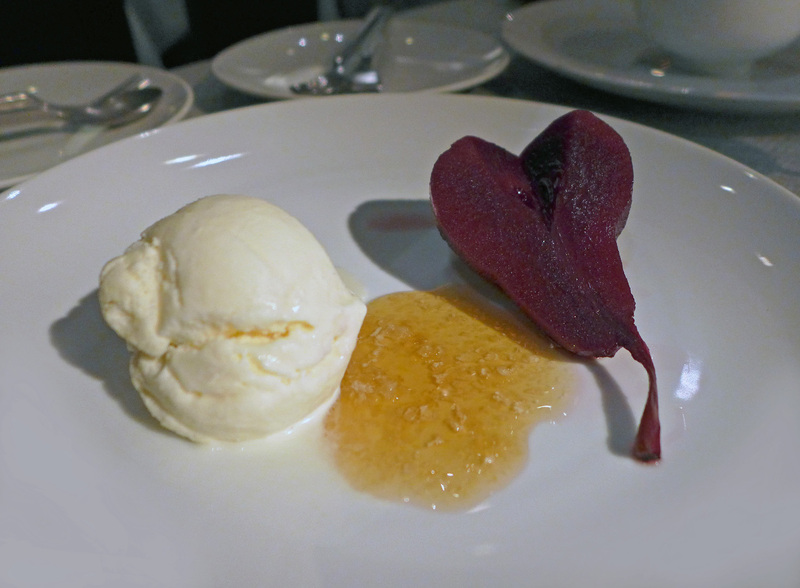 Half a poached Pear ( Generous ) A blob of ice cream and a spoonful of sauce. Top effort from the pastry section of Asias 23rd best restaurant. Crème Brulee – Tatty , scruffy , Lazy and zero effort. 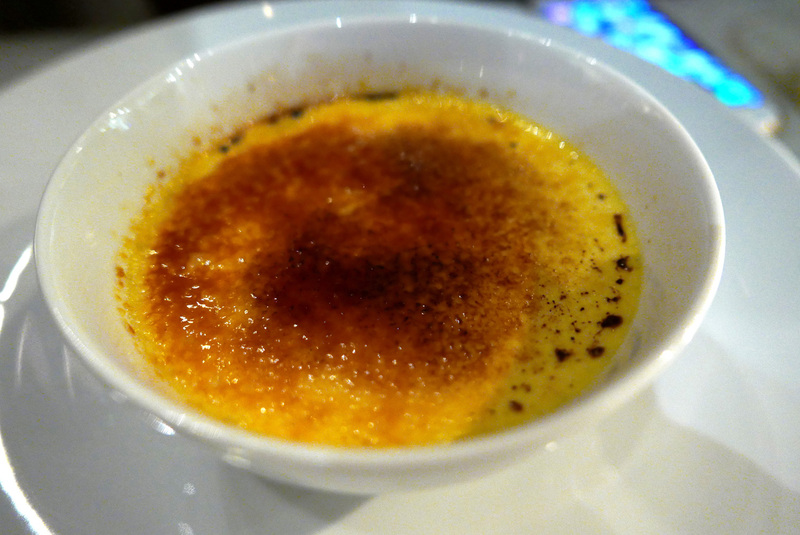 Compare it to the crème brulee I had on my OSHA visit and they`re worlds apart. It doesn`t take much to make something look half decent and presentable. Obviously it does at `Eat me`. Here comes the bill , tucked away inside a cute little test tube. I can just make it out at 4071 Baht ( £ 81 / $ 115 ). It`s not going to break the bank but I can spend a tenth of that in Bangkok and eat 10x better food. Will I recommend or will I return ? Not a chance. 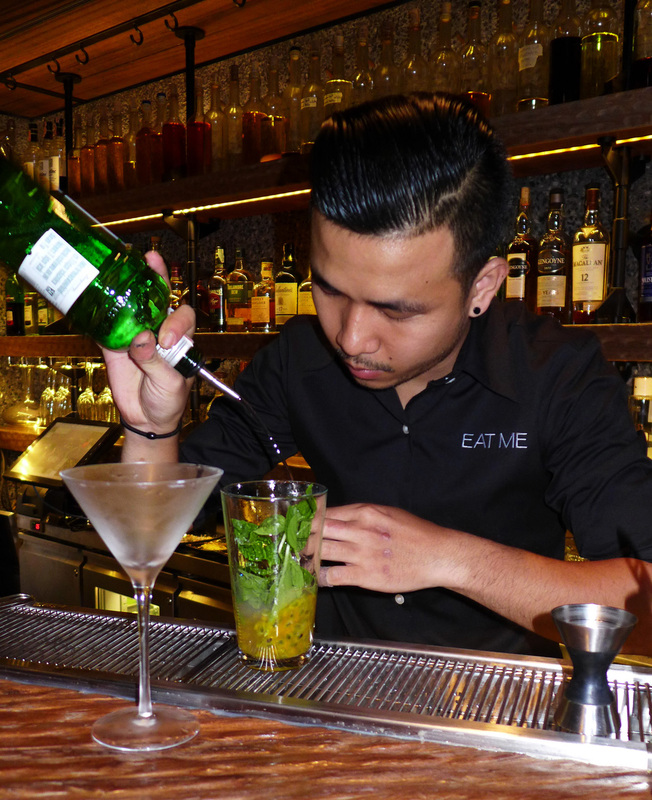 If you`re visiting Bangkok there`s hundreds of places better than this. Previous Post The Samling set their bar at top level. 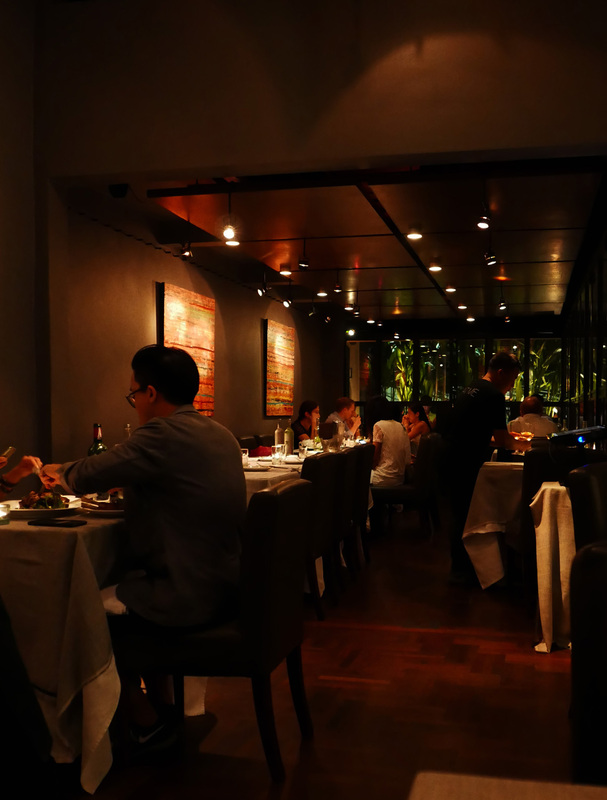 Next Post Gaggan , Bangkok – Number 1 in Asia. This actually made me laugh out loud. Hilarious. Thanks very much and yes , was bloody awful. Cheers and have a great xmas.